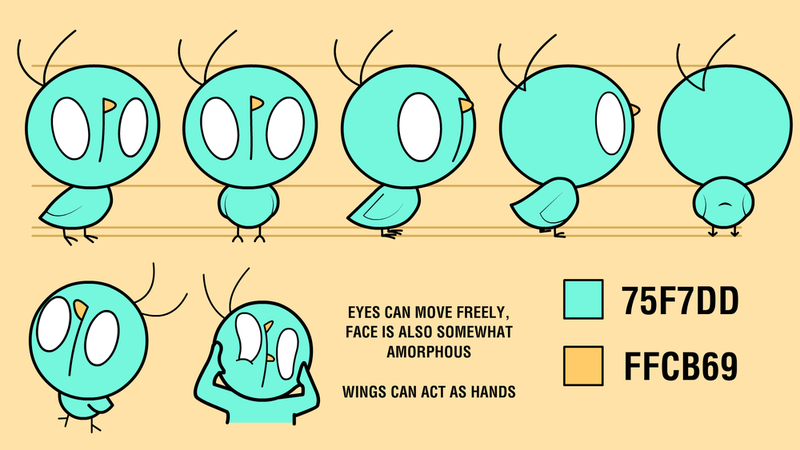 THE ANIMATED VLOG IS A WEBSERIES ABOUT THE HARD-AND-SOMETIMES-STUPID TRUTHS, TOLD BY THE OPONOK MASCOT CHARACTER, A SEMI-STREETSMART LITTLE BIRD. YOU'LL NOTICE HIS FACE IS AN OPO - WHICH IS WHERE THE WEBSITE LOGO AND THEREFORE HIS DESIGN ORIGINATE. THE MASCOT CHARACTER IS NAMELESS. NARRATES SCENARIOS THAT UNFOLD FROM HIS OWN PERSPECTIVE. WELL-MEANING BUT SOMETIMES INCOMPETENT, SOMETIMES JUST A GOOFBALL. A CONCEPT FOR A MASCOT CHARACTER. HOLLY IS A DISHEVELED TWENTY-SOMETHING WHO GOT A GIG WORKING AS A LOW-END MALL EASTER BUNNY TO HELP HERSELF PAY THE RENT. SHE’S FINDING SHE HAS A LOT OF TROUBLE GETTING INTO THE SPIRIT, HOWEVER. ISABELLE (WORKING TITLE) IS A SHORT FILM CREATED FOR A HORROR ANTHOLOGY CURRENTLY IN PRODUCTION BY DEAD LANTERN PICTURES. THE CONCEPT AND ORIGINAL SCRIPT WERE BROUGHT TO ME BY THE DEAD LANTERN TEAM, AND FROM THERE, THEY TRUSTED ME WITH A LOT OF CREATIVE FREEDOM WITH THE SCRIPT AND CHARACTERS. THE RELEASE OF THE FINAL ANTHOLOGY FILM IS EXPECTED FOR 2019. FROM AN EARLY CONCEPT SKETCH OF THE CHARACTERS TO FINAL DESIGNS. MORE COMING AS PRODUCTION CONTINUES! DIRECTED BY JISU KIM WITH RICH CHAPPLE, I WORKED WITH A (VERY) SMALL TEAM PUTTING THIS TOGETHER FOR GQ. I DID SOME BACKGROUND ART AND HANDLED ANIMATION FOR THE SHOTS DEPICTED, AND WAS BROUGHT ON BOARD IN PARTICULAR FOR SHOTS WITH PHYSICAL COMEDY. THE SHORT ITSELF CAN BE ENJOYED HERE.